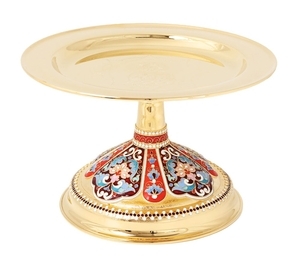 Jewelry diskos for a 1 L chalice no.4 - Istok Church Supplies Corp. Excellent jewelry liturgical diskos for a 1 L communion chalice. 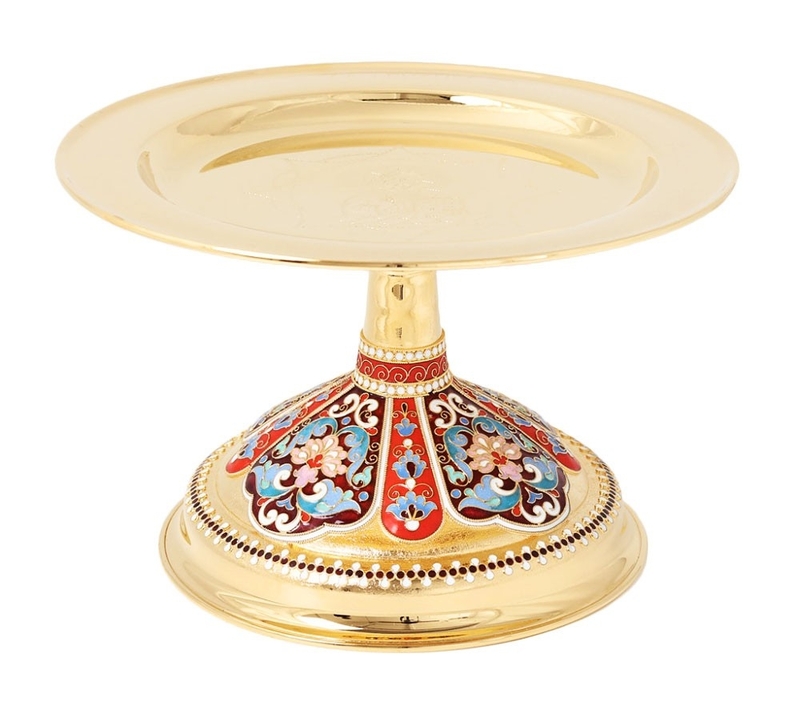 Brass, filigree, hand-painting, hot-enamel, gold-gilding, engraving. Diameter: 0.9'' (24 mm).